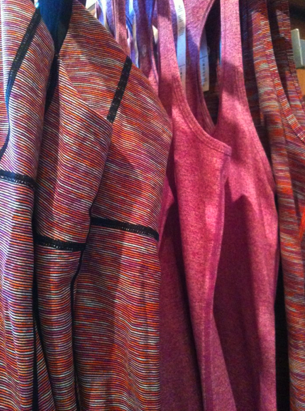 Thanks to reader ‘S’ for finding this picture at her strategic partner store of the Heathered Ultraviolet CRB. We’ve all been wondering about the existence of this one and low and behold it does exist. "OOTD: Out For A Run"
"Photos of The Latest: White Swiftly LS, Concord Grape, Every Yogi LS and Tee and More"